The Wild Space free slots game from Genesis Gaming has a striking appeal. It is just like their other game called “Sea Raider” but with a different theme of course. This time the makers have come up with a space-themed game. It is a game unlike anything casino players might have played. It does not have any pay lines or reels; instead it is more like an arcade game. The millennial gamblers will definitely enjoy this game. So if there are no reels, how do you play this game? You have to choose 8 different orbits across the galaxy. Just choose a different bet amount for each of them. This means you can choose from 0.08 to 800 coins to bet on this game. Once chosen, the orbits will revolve themselves. You can choose to spin them in auto play mode to keep the symbols spinning. This game is jammed up with surprises. 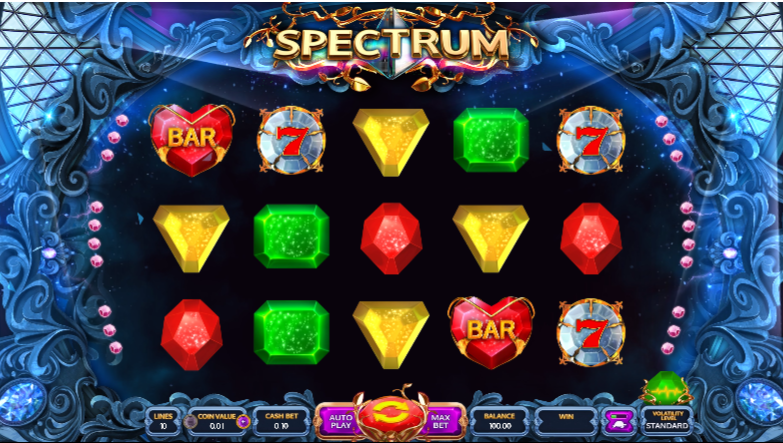 Once in a while when you feel tired of playing the same old free slot machine game, you can try this game. In fact, you will get a hang of it very soon. The combinations on the pay lines, or in this case the orbits that you have chosen will trigger cash prizes. So the rule does not deviate much. The planets and stars and all the mini galaxies represent the symbols. The maximum prize here is 100 times your bet. The wild symbol can replace all the other symbols on this slot machine to make you win up to 500 times your bet. There are also three different types of bonus games here – the wild black hole, come alert bonus and the gravity surge. A lot is happening here for sure.